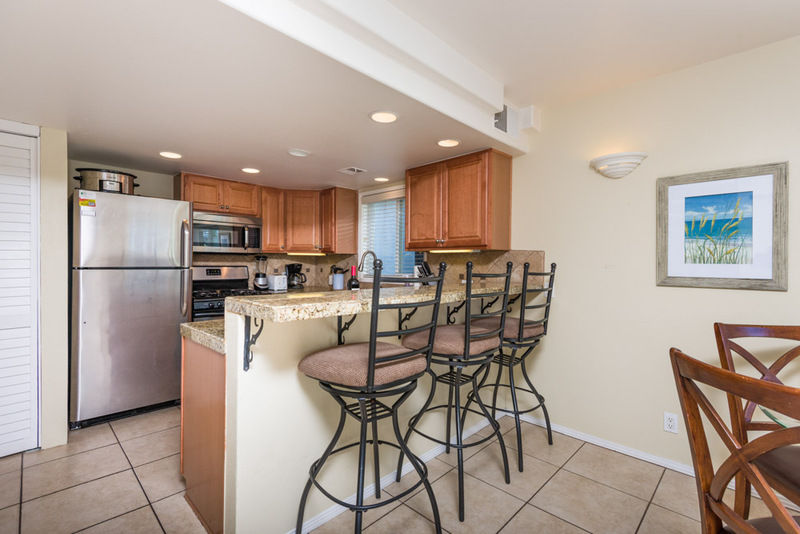 Guest Ratings 822-824 Ostend Ct.
Property Details for 822-824 Ostend Ct. 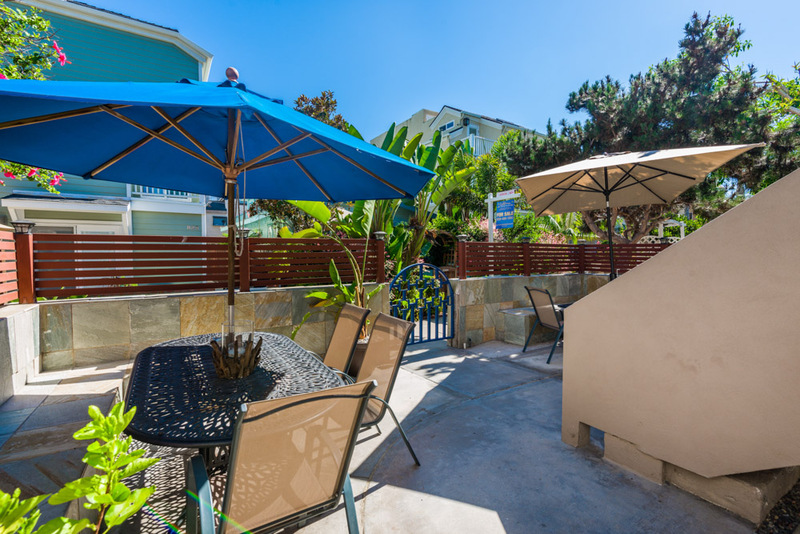 This beautiful, spacious 5 Bedroom, 4 bathroom and 2 half bath Townhouse is just steps away from the bay and a 3 minute walk to the ocean. 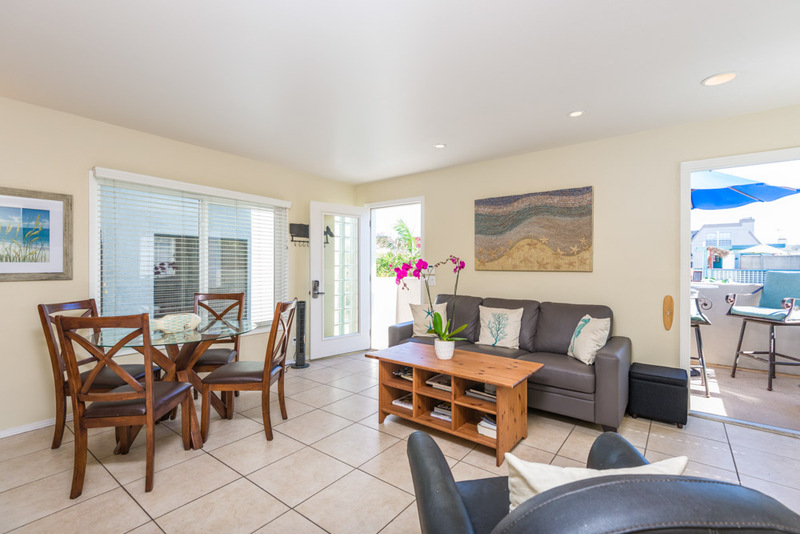 This lovely property is located on a quiet court away from the crowds but right in the heart of Mission Beach with its wonderful cafes, shops, restaurants, and bars. 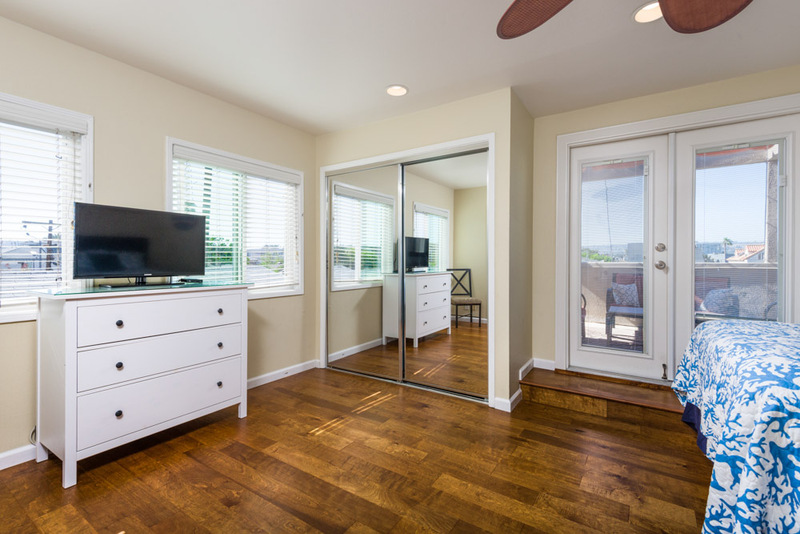 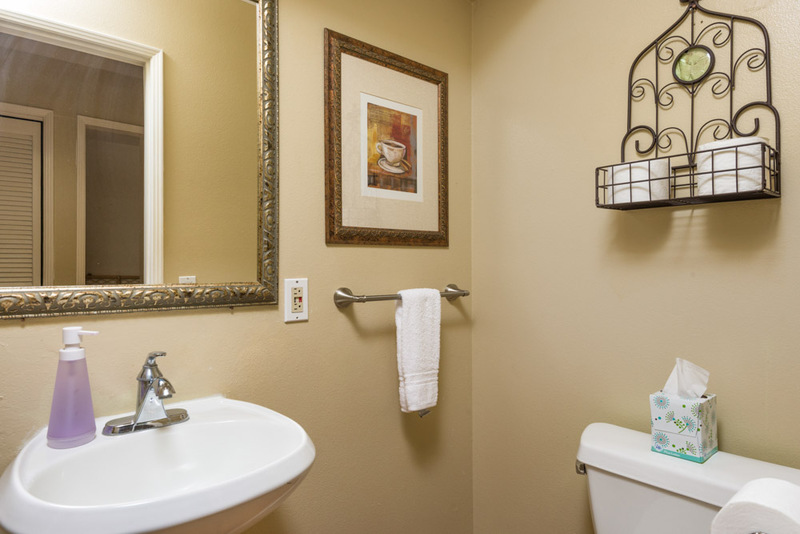 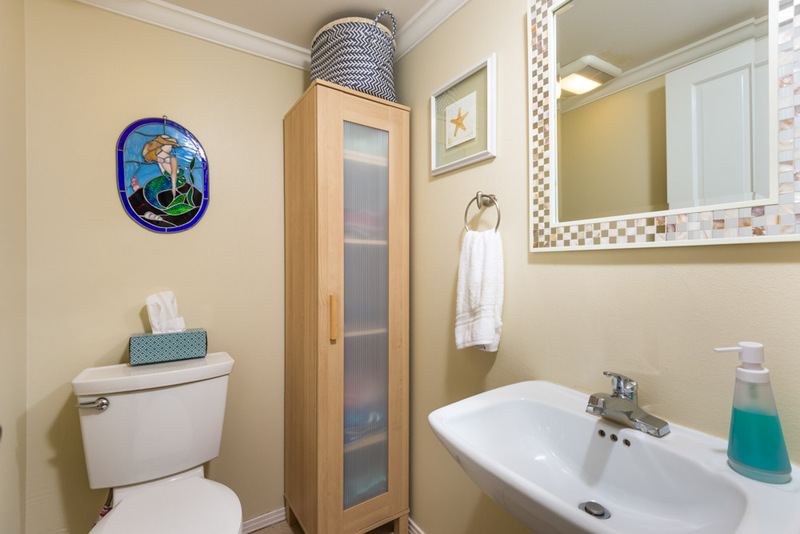 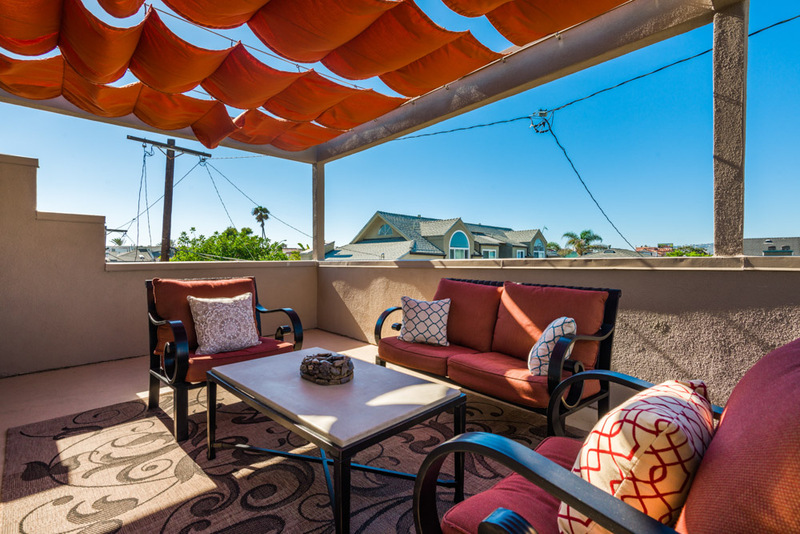 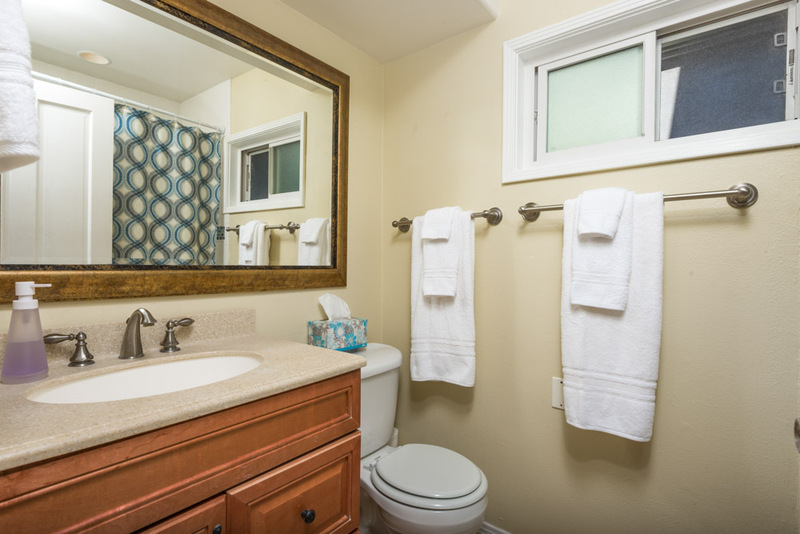 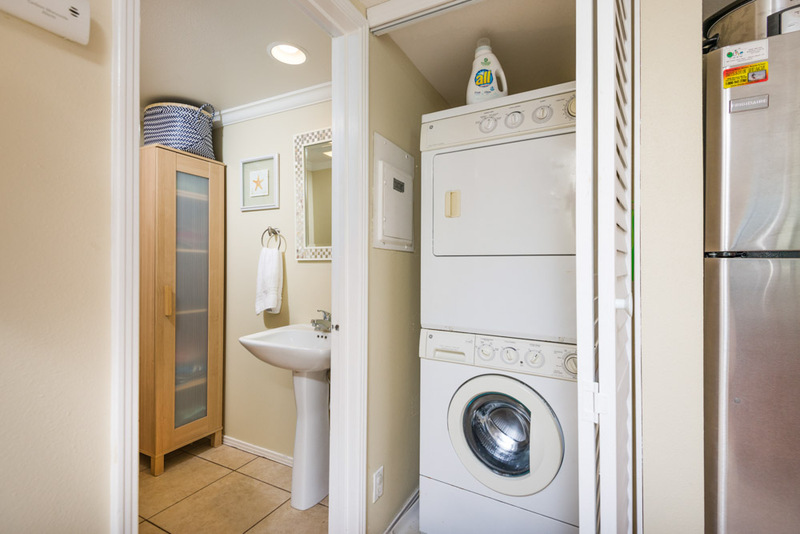 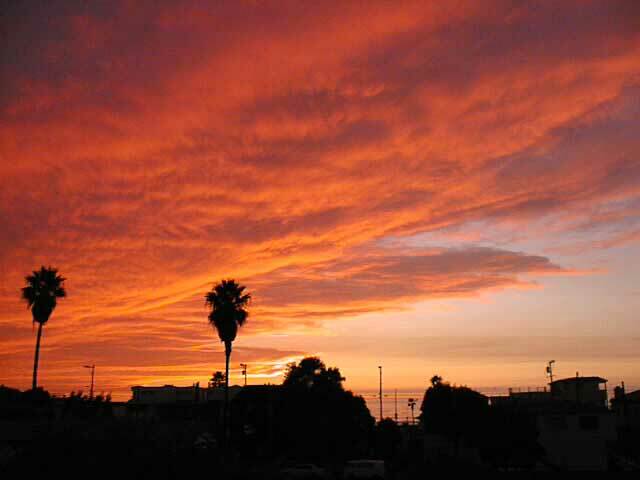 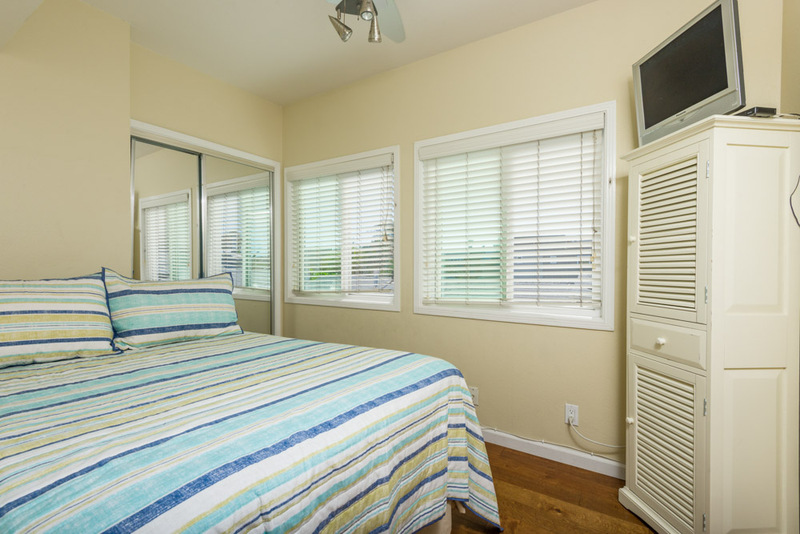 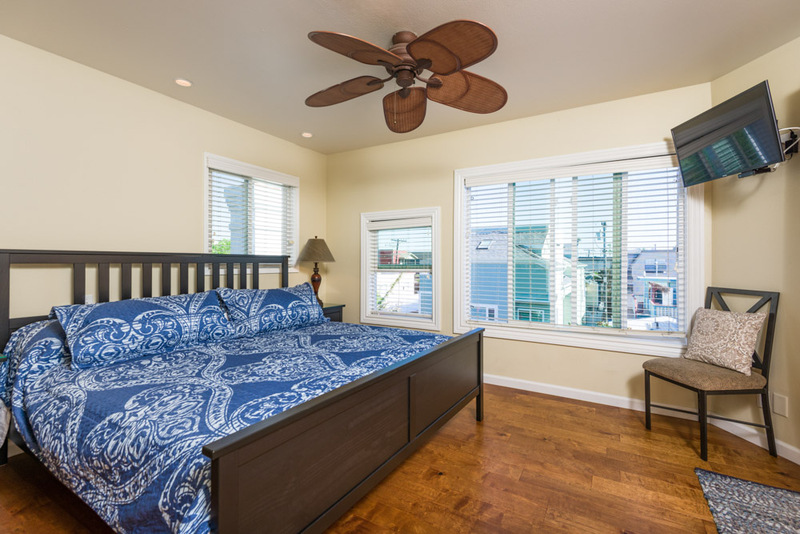 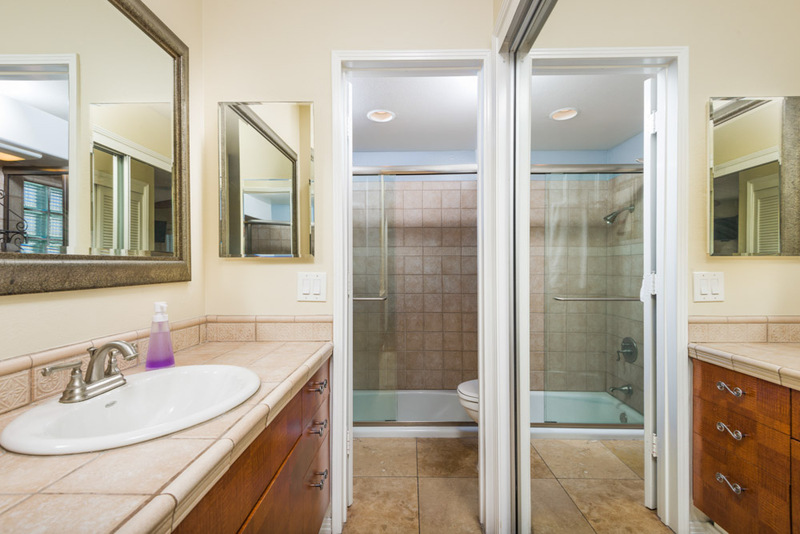 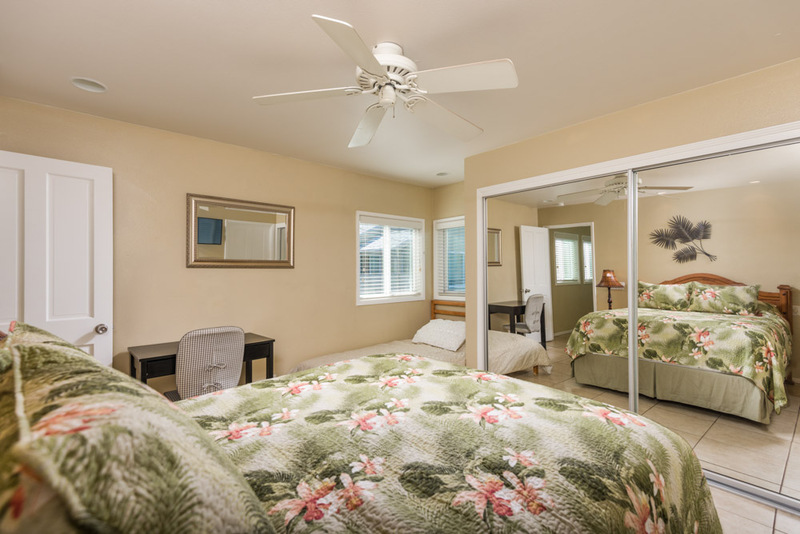 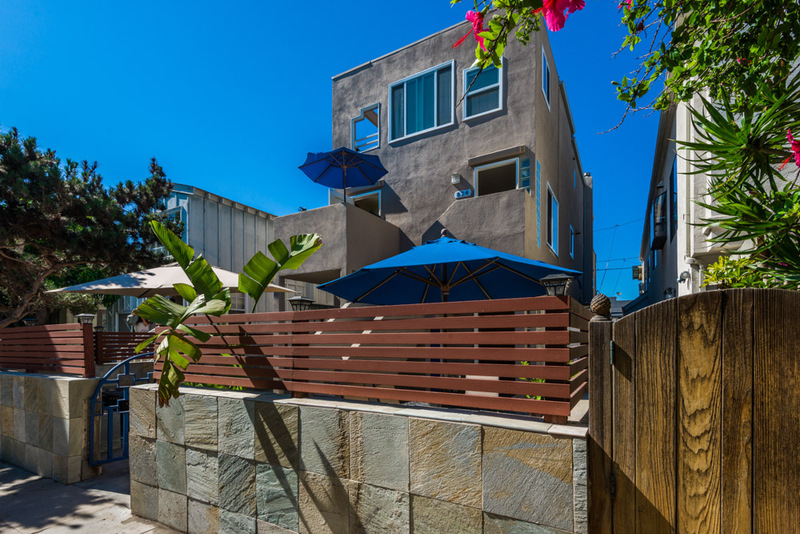 The home is within easy walking distance to all that Mission Beach has to offer so you can bike, surf, sail or ride the roller coaster without ever getting in your car. 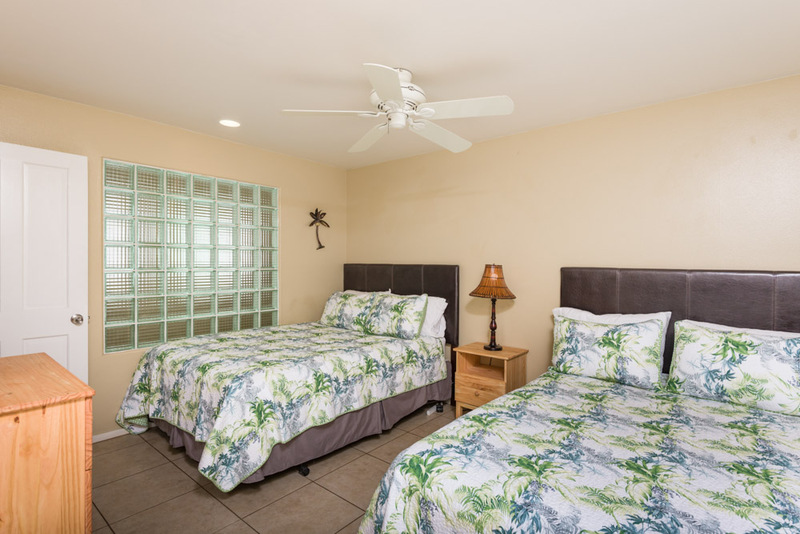 Just steps away is a large grassy area where you can play frisbee or volleyball and you are surrounded by water so you can choose the surf beach in the morning then paddle board on the bay in the afternoon! 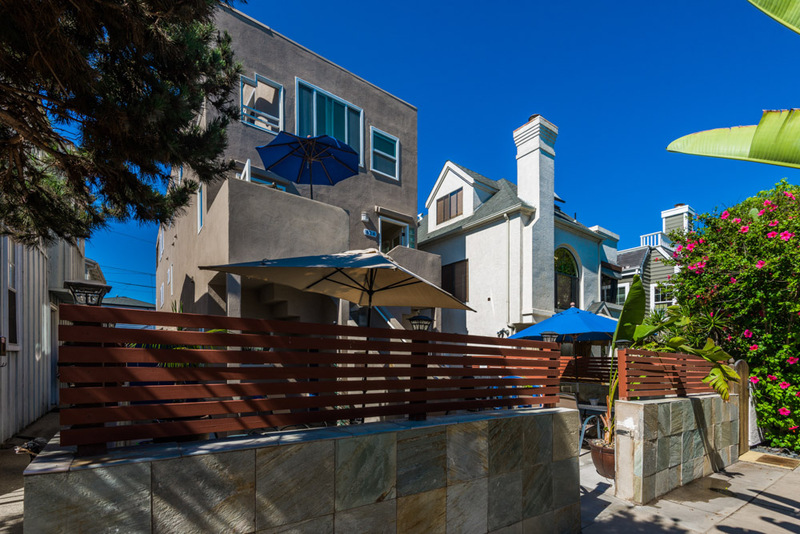 If you decide to venture out, you can get to most major San Diego attractions such as Old Town, Sea World, and the Zoo within a 15 minute drive. 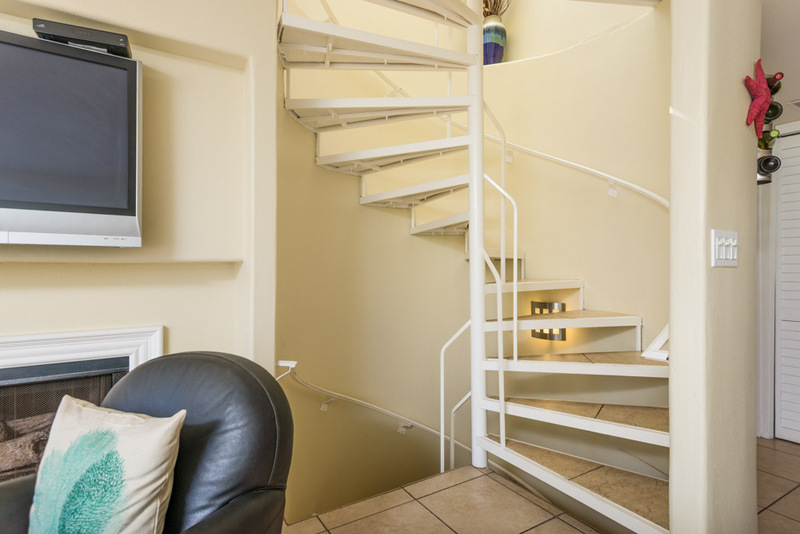 The townhouse is configured as 2 townhomes that are connected by an interior stairwell. 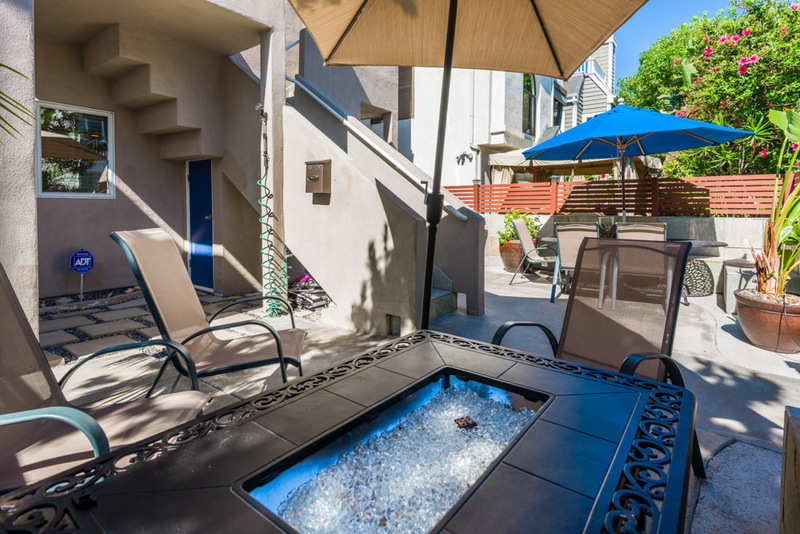 It has a large private, sunny outside front patio with a dining table, fire chat table, BBQ and outdoor shower that are shared with the adjacent townhouse. 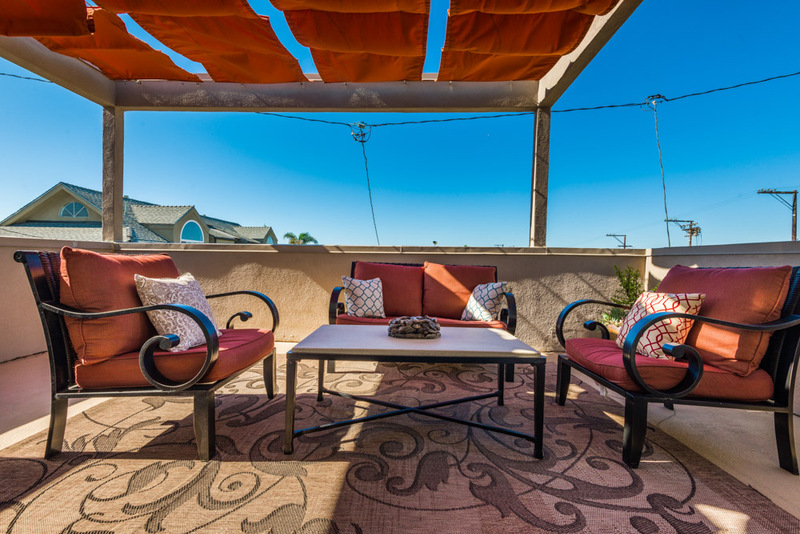 There are 3 private outdoor view decks to enjoy morning coffee, sunsets, reading or catching up with family/friends. 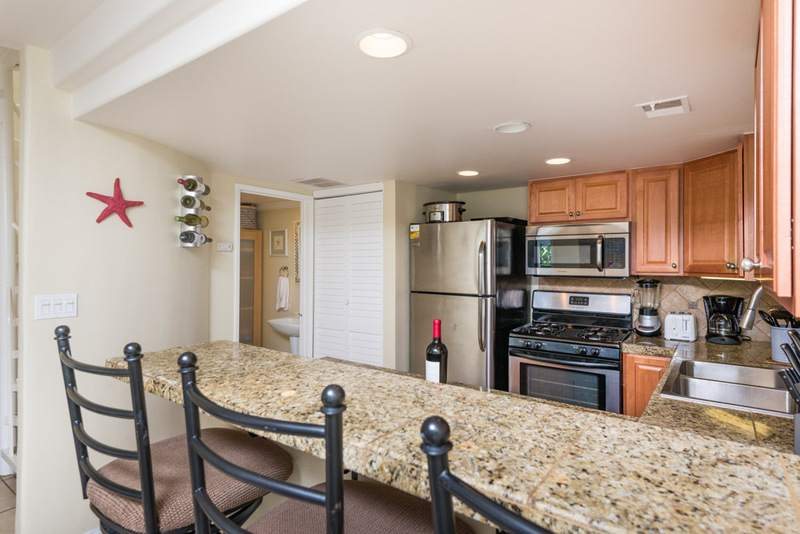 Inside, the recently redecorated beach chic condo has everything you need to make your vacation fun and comfortable including a modern, fully equipped kitchen, flat screen TVs throughout, fireplace, Wifi, ceiling fans and comfy beds for 15+ people. 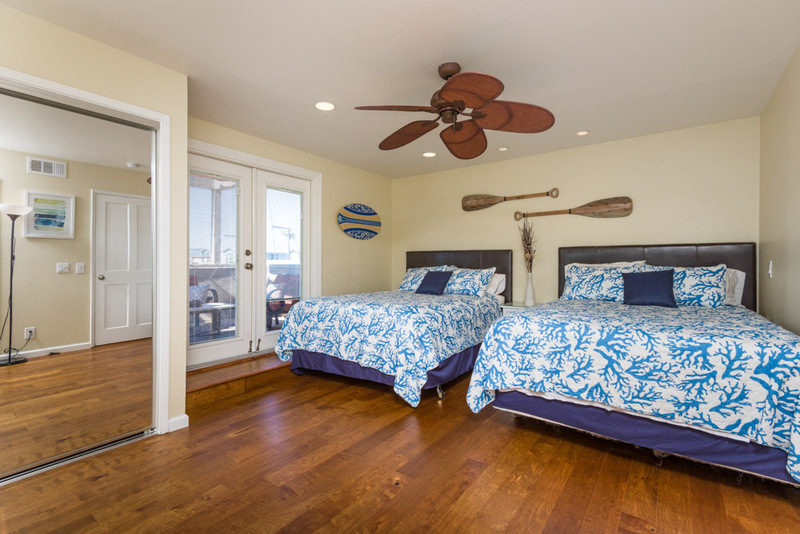 We supply beach towels, chairs and umbrellas, boogie boards, beach toys, and 5 bikes. 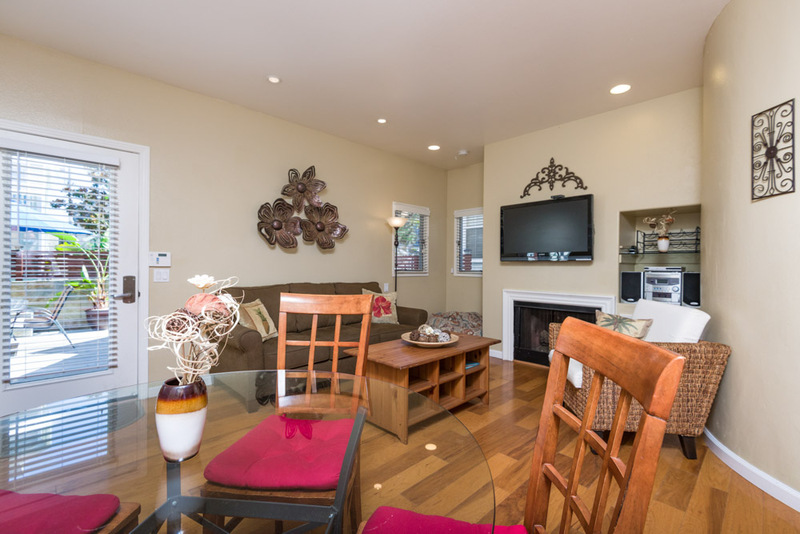 There is a 2 car garage plus 3 additional parking spots that comes with the rental. 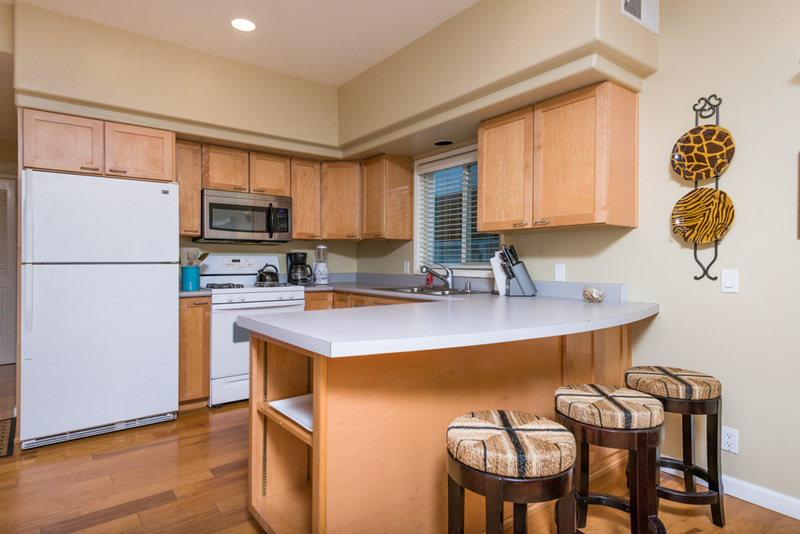 Rates for 822-824 Ostend Ct.